Hotels do offer amenites to help travelers get their work outs in. 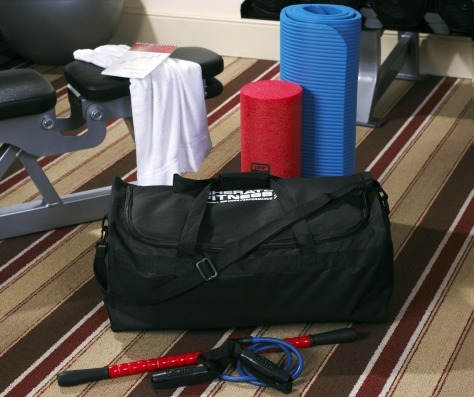 This "workout in a bag" kit is available at Sheraton Hotels and includes a mat, stretch rope, and other items for guests to use in their rooms. Also, there are several Web sites that offer travel fitness options.